I traveled to Nashville last year on a trip with a friend. When I went again this year, I discovered that Music Row is not the bright, neon crowds of Broadway, but far away. 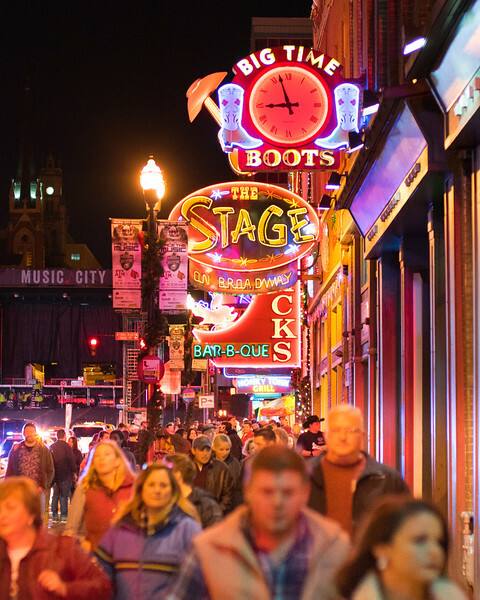 Broadway is just Nashville's tourist row, and it is good at what it does. Attracting hundreds of thousands on New Years and the preceding night, it was like one giant, ongoing party. The colors stretch all the way down the street with tourists, people seeking to sell newspapers and goods, and everyone else in the city.